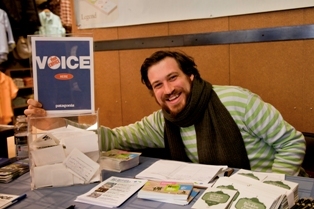 Brooklyn Greenway Initiative (BGI) recently participated in Patagonia’s “Voice for Choice” grant program. This company-wide program allows three local NYC non-profit organizations to showcase their missions and work at Patagonia retail outlets during the month of March. 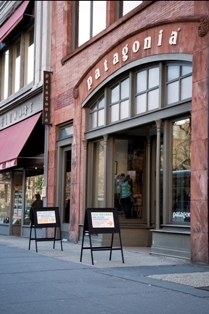 BGI was featured at the Patagonia Upper West Side store. Each participating non-profit receives a grant; however, the size of the grant is determined by the number of votes by Patagonia customers. The competition was neck-and-neck, but BGI won the $2,500 top prize by a mere 4 votes. The old adage “every vote counts” again held true! BGI is proud to have shared the bill with two other worthy organizations – Sustainable South Bronx and Clean Ocean Action – and we congratulate them as well. We have much to be thankful for in a contest where everyone came out a winner, including the tremendously supportive and good-natured staff at Patagonia Upper West Side and the voters who made it all worthwhile and a lot of fun! Thanks also to Starbucks for the complimentary coffee service, which kept our volunteers and Patagonia staff and customers fully charged throughout the day! Photos courtesy Sarah Bures | Photography.